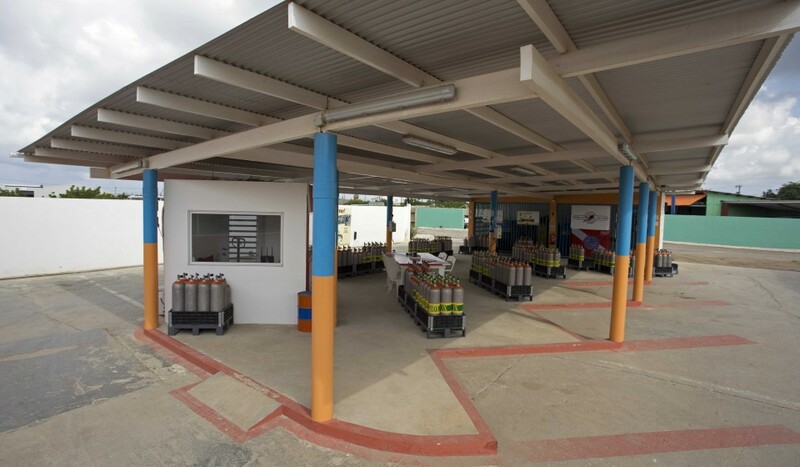 AB-Dive offers unlimited air for the lowest price on Bonaire. With our new system we fill your tank up to 3200 PSI (220 BAR) without problem. 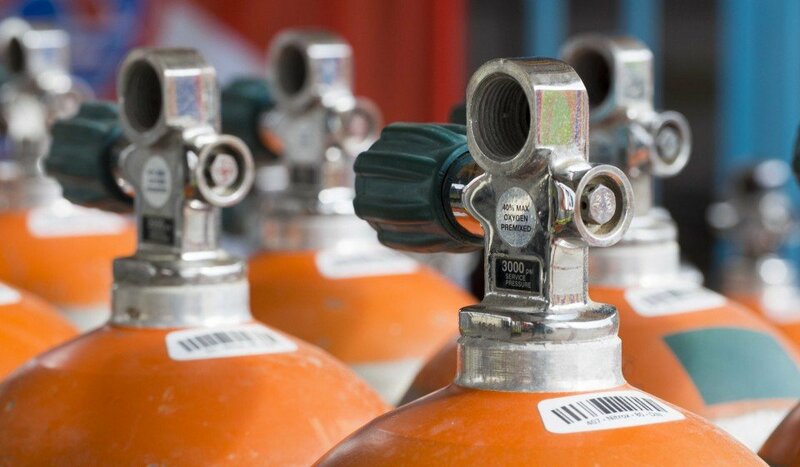 You will typically dive with 400 PSI (20 BAR) more than you will get at other dive centers. And the best thing of all... we offer both DIN and Yoke/International valves and tanks in all sizes! Breath lovely fresh air, also while underwater. We change the air filters in the compressors every month and exclusively use European Bauer compressors, which are known for their excellent quality. Every three months we send an air sample to the lab for analysis. They examine if the air quality is still as high as ever. As the tanks are used constantly by our beginner and advanced divers, the air keeps flowing and you will always dive with fresh air! This ensures the high quality of our air. We offer unlimited air for you to enjoy Bonaire’s underwater world to the fullest and make repetitive diving easy and effortless. Usually we allow two tanks per person each time. Is it your wish to dive in our National Park trice in one day, then we are inclined to turn a blind eye and send you on your way with an extra tank. Use our drive-thru service and we will put new tanks in your pick-up for you. You don’t even have to exit your vehicle! But don’t forget to drop by for a cup of coffee from time to time, as we would like to hear all about your adventures. We also offer a delivery service and bring your tanks to your accommodation. Doesn't have to be consecutive days.